New Year is here, the best offers and on now at home décor products. There are many retail and online stores which are offering good offers and discounts on White Sale. Winter season is known to be for home décor, every home décor store is on the verge of selling its top selling products. It is said that once these products were only sold in white and the sale was only restricted to the month of January. But now neither white nor is January restricted to White Sale. Retailers and online stores including Overstock, The Company Store, Wayfair are still carrying the legacy. Today home décor stores like lelaan.com, Pottery Barn and Target provide their customers with enormous offers and sales which cannot be ignored. The White January Sale has taken a name of “White Sale” only but it is not necessary to put all the white items in that sale. The Sale can stretch to months and so on. Its time when Overstock has come in with full throttle offering up to 70 % off on Bedding, furniture, jewelry and watches, clothing, shoes and home essentials. Browse the website to pick your favorite item on sale! 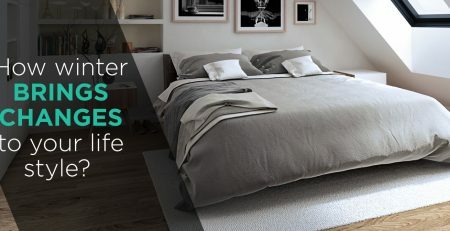 The Amazon.com store has launched its White Sale on linen products covering bed and bath décor products offering up to 25% off. Check out The Briarwood Amazon Store Website to see the deals yourself. Lelaan.com has come out with a capturing strategy for the customers. It is offering up to 70% off on bed and bath décor products. Moreover, it is offering 15% off for the first sign up customer. To put the cherry on the top of the cake Lelaan.com has offered free shipping for its customers by entering a coupon code ship2k19. Check out the company’s website to avail the discounts. It’s time for the Winter White Sale at Wayfair. It’s offering from 55 to 70% off on bed and bath décor products. Find out more by visiting the website of Wayfair. Buy the best linen sheet sets and towels of the season. Walmart: Here the White Sale is at full swing and the products it has targeted for sale are many than other websites are giving away for sale. Ranging from 20 to 70%, the sale on household and home décor items. Pick out your favorite ones by visiting the website. The department store has launched sale on Bed and Bath products with discounts of 40% to 60% off on select styles. Go to the Ebay.com on Briarwood Home Store e to check out the deals for yourself. Need help to find any further details about discounts and deals on home décor, see below. I hope you find the blog interesting and informational.